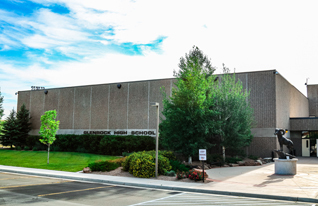 We are Glenrock Jr/Sr High School, where students in grades nine through twelve are destined for success. In addition to providing you with important student resources and documents, we have the information you need about GJSHS activities, athletics, and post all the news and announcements. Welcome to Herder country! I’m excited that you’ve taken the time to visit Glenrock Jr/Sr High School's pages. I hope you find them informative and helpful, as it highlights the many accomplishments of our students and our school. Glenrock Jr/Sr High School provides students with many wonderful opportunities to learn and grow. We are proud of our student successes small and large—whether in the classroom, the auditorium, the shop, the kitchen, on the field, in the gym, or elsewhere. We pride ourselves on our ability to provide students with a broad range of learning opportunities through our activities and athletics programs, and in the community. We, working together, are Herder Pride!